The the Arab press, reports that that government has withdrawn blanket permission from the Trump administration to conduct raids and drone strikes on al-Qaeda and other targets. It is sourcing one of the two Yemeni governments (that of Abdrabbuh Mansour Hadi). Mansour Hadi’s diplomat expressed to the US “reservations about the way in which the raid on in Bayda province was carried out.” The US action targeted a base of al-Qaeda in the Arabian Peninsula (AQAP) in the town of Yakla. The raid, in late January, appears to have killed at least 10 civilians, including an 8-year-old American girl, along with 14 al-Qaeda operatives; an American Navy Seal lost his life in the operation, as well, and three other Americans were wounded. Some observers with ties to the Seals suggest that the operation was poorly planned and turned into a fiasco. It is now being reported that Trump was told that Obama would never have actually carried out the operation, the planning for which began last fall, and that this assertion was influential in Trump’s decision to go forward. (If it is true that Obama was reluctant, it was obviously because of the extreme difficulty of this sort of operation and the high likelihood something will go wrong). When Trump banned Yemenis from coming to the US, he alienated many of them; one Arab newspaper said the ban left Yemenis “disgusted.” The US-Saudi war effort in Yemen has created thousands of refugees, who Trump now says he will not help. If I were looking for a military ally, I wouldn’t treat them that way. Yemen is a basket case, beset by a civil war in which outsiders have taken sides. If even it does not want Trump running around freely in its country, despite the promise his administration holds out, of a final destruction of the Houthis and their (alleged) Iranian patrons, then the US is in real trouble. Mansour Hadi is backed by Saudi Arabia and its allies. He now holds some of largely Sunni Muslim south Yemen and the southern port of Aden. Much of northern (actually northwestern) Yemen is in the hands of the Houthi (Zaydi Shiite) militia and its ally, former president Ali Abdullah Saleh, along with troops loyal to him. AQAP has been the most active branch of the al-Qaeda franchise in trying to find ways to hit the United States, and was responsible for the 2009 underwear bomber attempted attack over Detroit. AQAP has a special interest in non-metallic explosives, which is why TSA airport authorities often insist we be scanned for pouches of PETN; it doesn’t set off the metal detectors. 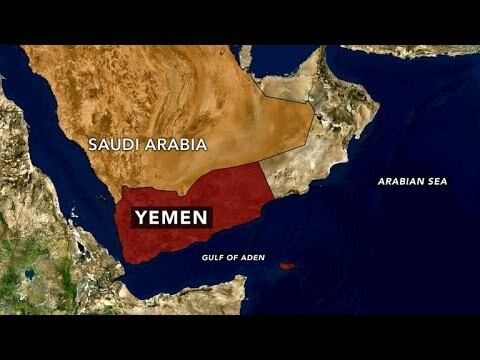 Yemen is extremely hostile territory for US military action. Many Yemenis, even those who dislike the Houthis, are angry about indiscriminate Saudi bombing of civilians and infrastructure. They have held large demonstrations in the capital, Sanaa, against the Saudi bombing raids. The Saudis bomb them during the demonstrations. The US has been closely associated with this Saudi war, providing refueling facilities, help with strategy, and even help with choosing specific targets for Saudi bombing runs. Many Yemenis see the US as complicit in their misery. The Zaydis in the north resent decades of Saudi hegemony, and feel that the hard line Wahhabis in Riyadh are trying to convert them from their moderate Shiism. AQAP has taken advantage of the disarray into which the country has fallen to expand the areas where it is active, in the south of the country. It is yet a third force. Zaydi militiamen and soldiers in the Yemeni military were, years ago before the civil war, among the more effective fighters against al-Qaeda. Trump on the campaign trail talked a good game against groups like AQAP. He is now encountering reality, which, whether he likes it or not, will make itself felt. The reality is that Yemen is extremely rugged, and that it is clannish, and outsiders without intimate knowledge of the people and terrain will find the country hard going. Moreover, if you were looking for Yemeni allies you might have wanted to avoid alienating the whole country by locking them out of the US.